2005 Aegis Award for documentary. 2003 Telly Award Finalist for documentary; 2003 Gold Aurora Award for documentary. Bullying: You Don't Have to Take It Anymore! 2002 Telly Award Finalist, 2002 Gold Aurora Award for documentary. 2001 Telly Award for documentary. Award of Excellence, the Society of Technical Communication. Bronze Award, 43rd Columbus Film Festival, 1994. 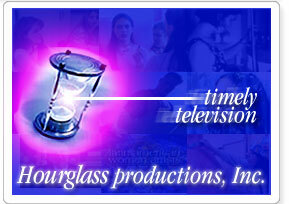 © 1994-2006, Hourglass Productions, Inc. All rights reserved.